Since it appeared in a woven bracelet in the 1990s, the question "What Would Jesus Do?" has wound its way into American pop culture. According to Pew, nearly 80% of Americans identify themselves as Christian, so one would think a wide swath of the country has an opinion on what Jesus would do about the hot social issues of the day. Research group YouGov asked Americans about their support of social issues like legal abortion, gay marriage and the death penalty. 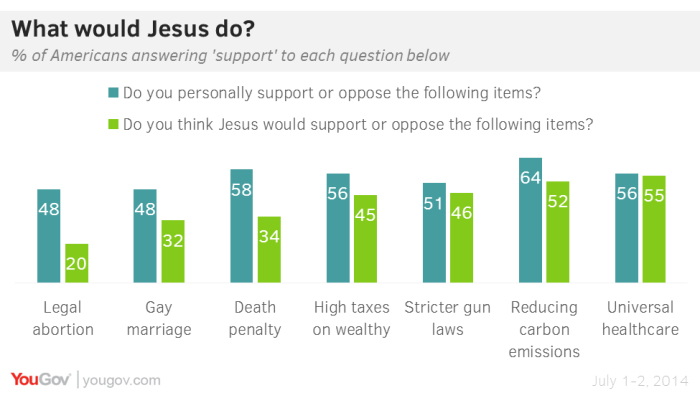 They also asked respondents how they believe Jesus feels about said issues. Jesus would not support legal abortion. Jesus would oppose gay marriage. Jesus would not support the death penalty for murderers. 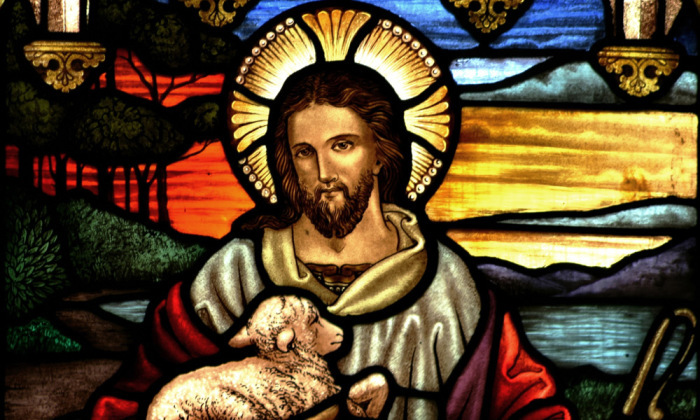 Jesus would oppose high taxes on the wealthy. Jesus would not support stricter gun laws. Jesus would support reducing carbon emissions. Jesus would support universal healthcare. 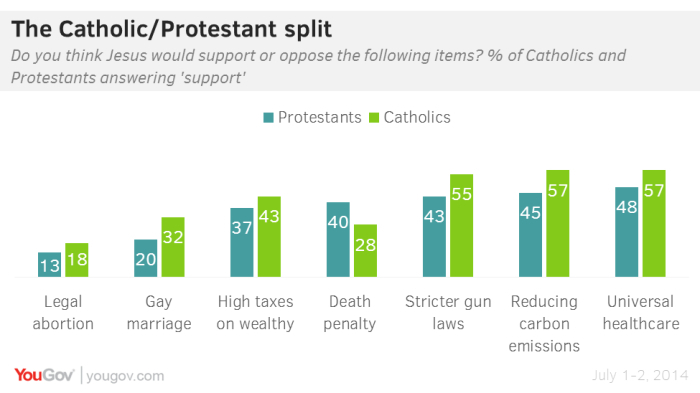 YouGov also looked into the differences between how Catholics and Protestants viewed Jesus' support of these social issues. Catholics seem to envision a more politically liberal Jesus than do Protestants. A greater percentage of Catholics imagine the Messiah supporting issues like legal abortion, gay marriage and stricter gun laws. To dig into the numbers, click here for the survey results from YouGov.